Yesterday, Amitabh Bachchan and Rishi Kapoor had shared a fun pre-teaser for their film 102 Not Out. Today, the makers of the film have released the first teaser and we can’t get over it! 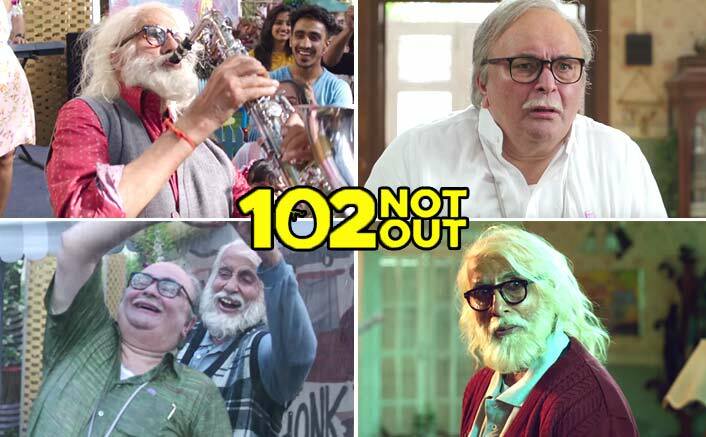 The first teaser of 102 Not Out showcases the sweet bond between Amitabh Bachchan and Rishi Kapoor who essay the role of father and son in the film respectively. After a long wait of 27 years, Big B and Rishi Kapoor have reunited for Umesh Shukla’s film. In the teaser, we can see how both of them are enjoying little joys of life. It also shows us how daddy Amitabh turns into a prankster and irritates his son Rishi. 102 Not Out is based on writer-director Saumya Joshi’s Gujarati play with the actors playing Gujarati characters for the first time. The film is all set to release on May 4, 2018.